With Live Chat, you can take your time browsing our website. Then, as you shop and questions arise, you can instant message our Support Team. When you use Live Chat, you are not speaking with a robot or computer automated "person." You are connecting with a Support Team member. 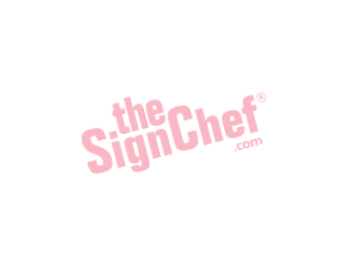 In fact, there's a good chance you might even find yourself chatting with the Head Sign Chef himself! Our Support Team members are available on Live Chat from 8:30 a.m. until 9:00 p.m. EST seven days a week. Engage in a Live Chat with one of our Support Team members by clicking the “Ask Us a Question” pop-up in the bottom right corner of any webpage. Simply type your question and press Enter to send. Converse as long as you like. Our Custom Sign Specialists Are Standing By!